The Business Skills section can be found under ‘Development tools’ on Surrey Pathfinder and it includes a range of sub-sections with a variety of interactive online courses such as, business writing, customer service, leadership and problem-solving. At first it may seem as though business skills may not be relevant if you are studying a degree unrelated to business. However, this section will be helpful to all students, since it includes lots of useful information applicable to many different sectors and organisations. Students who are about to start a placement or graduate role may especially benefit from the section on Business Skills, as the different topics and courses enable you to gain an understanding of the fundamental aspects of a variety of job roles. For instance, you may not be fully aware of how to successfully prepare and write a report or may be unsure about what project management actually entails. These are often essential workplace skills and so it’s really useful to have resources such as this available. I found the section on ‘Meetings’ particularly helpful since it has a number of interactive courses about planning, organising and running meetings. Although I have learned a lot during my degree, I have not learned a lot about certain practical elements of job roles such as attending and running meetings and so I was quite nervous about this when I first started my placement. Starting any new job can be daunting but having all of these resources available will hopefully help you to be more prepared and confident about taking on new tasks for the first time. I really like the fact that everything is in one place, so you are able to easily navigate the Surrey Pathfinder website and find specific resources that relate to any questions that you may have. Since all of the courses are interactive, they are more engaging and interesting and motivate you to learn more about the wide range of topics available. Although some of the courses are longer than others, you can always come back to them at a later date if you don’t have time to complete the whole course in one go. 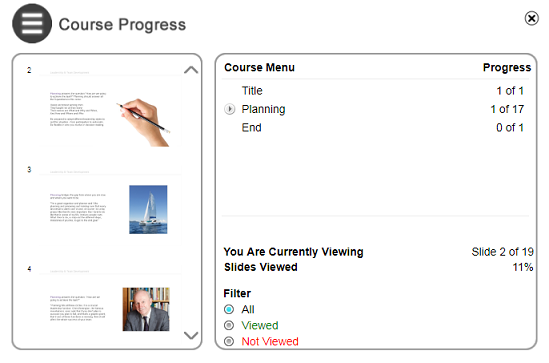 You are also able to track your progress so you know which parts of the course you have viewed and how many slides you have left to complete. In addition to the Business Skills section, there is also ‘I.T. Skills’ which includes information and courses on MS Excel, MS Outlook, MS PowerPoint and MS Word. If you are applying for jobs then this section may be especially helpful since many placement and graduate roles require proficiency in these programmes. There are courses tailored for different levels, such as beginner and intermediate and so you can choose to complete the courses that you find most relevant. 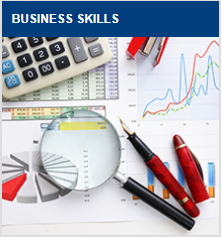 The business skills section is definitely worth exploring since there are so many interactive courses to choose from. Even if you have not yet secured a placement or graduate role, this information will enable you to be prepared and more confident in what to expect once you secure a job. 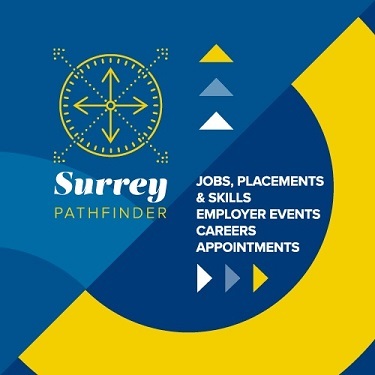 Remember that you can always use Surrey Pathfinder to search for new job opportunities; there are always new vacancies being published so it’s definitely worth checking! The resources highlighted here can all be found on Surrey Pathfinder.